Disney Countdown to Midnight This is the Countdown experience! Starts at 8 P.M. and lasts until 1 A.M. in the Fantasia Ballroom. A great opportunity to ring in the New Year at Walt Disney World and the evening will feature a DJ, dancing, photo opportunities, and dining. This event is exclusively for guests ages 18 and up. The tax and gratuity are included in the cost of $250 per guest. “Pixar Party: A New Year’s Eve Celebration” This family event takes place from 8 P.M. until 12:15 A.M. This event provides families an opportunity to celebrate the New Year together. The price of $175 (tax and gratuity included) includes a Disney Pixar inspired buffet style dinner! This popular event is already sold out, so try to get your tickets early for next year. 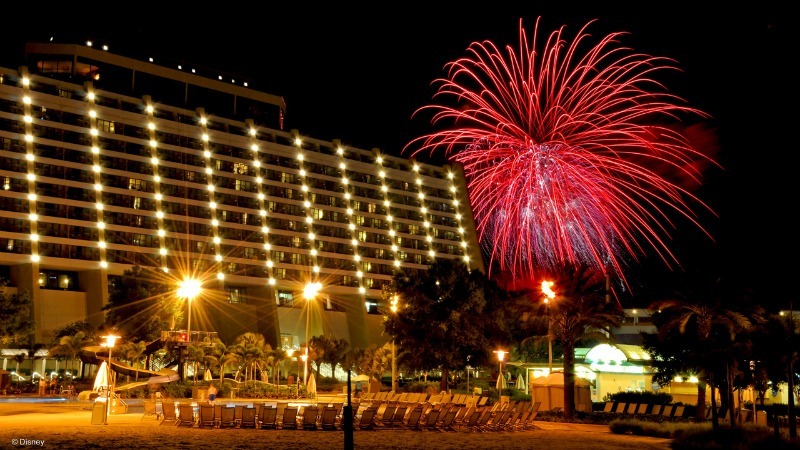 You can enjoy other smaller, but well put together and fun events at Disney’s Boardwalk Inn, and the Walt Disney World Swan and Dolphin hotel will feature dining packages to ring in the New Year. New Years Eve at Disney Springs is full of fun, lights, and memories to be made! You can enjoy the World of Disney and other shops in the Marketplace and Town Center until they close at 10 P.M. Another option is attending one of two performances at Cirque Du Soleil. These will be the final two performances before it closes for good so be sure to get your tickets ahead of time. Shows are at 6 and 9 P.M. If you want to attend a New Years Eve party, try the Grand Opening at The Edison! The gala will start at 7:30 with a cost of $150 (plus tax and gratuity) per guest. You will have the opportunity enjoy a dining experience you won’t forget. With multiple themed areas, the Edison will not disappoint. There will be drinks, hors-d’oeuvres, food, and a Midnight Toast! There is a minimum age of 21 and a dress code. Men may wear jeans, slacks, or dress shorts, but no ball caps, flip-flops, or sleeveless shirts. If you are not looking for the big party check out the other restaurants for New Years Eve dining packages.